ELS/Philadelphia – West Chester is located just west of Philadelphia in a picturesque college town with colonial roots and a long history of hospitality. The area is perfect for welcoming international students into the local, diverse community. “All of our full-time teachers have master’s degrees in teaching English, they’ve all lived and studied in other countries so they can really relate to the students when they come here and are studying,” said the ELS/Philadelphia – West Chester Academic Director. West Chester University is the largest university in the Pennsylvania State System of Higher Education and the fourth-largest university in the Philadelphia area. The university is home to over 16,000 undergraduate and graduate students pursuing degrees in 221 fields of study. 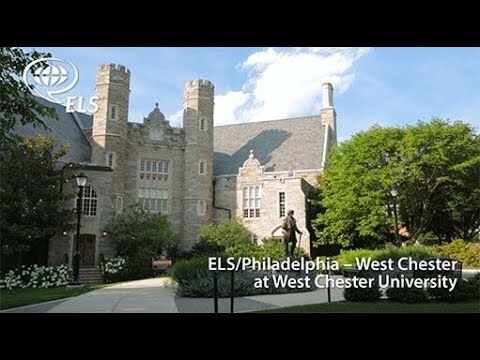 Learn more about ELS/Philadelphia – West Chester. Learn more about West Chester University.